• Remove annoying "no update" notification. • Fix Folder as Workspace not updating regression. • Fixed crash issue by checking & unchecking "Disable extension column" option in preferences dialog. • Fixed a crash when trying to launch a secondary instance with command line arguments. • Fix "Explorer Here" from "Folder as Workspace" problem if folder name contains comma. 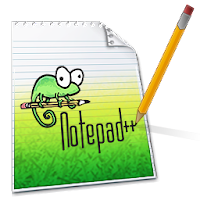 0 Response to "Notepad++ terbaru Juli 2018, versi 7.5.8"